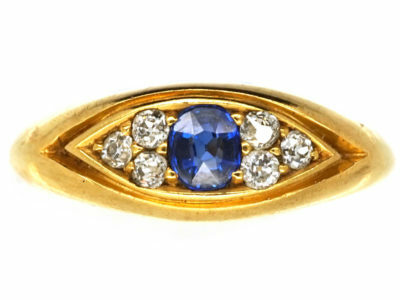 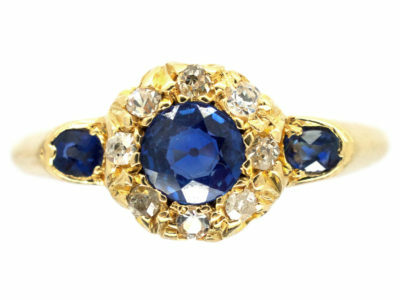 A wonderful 18ct gold ring that was made in the early 1900s. 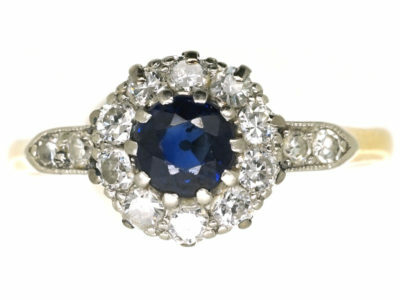 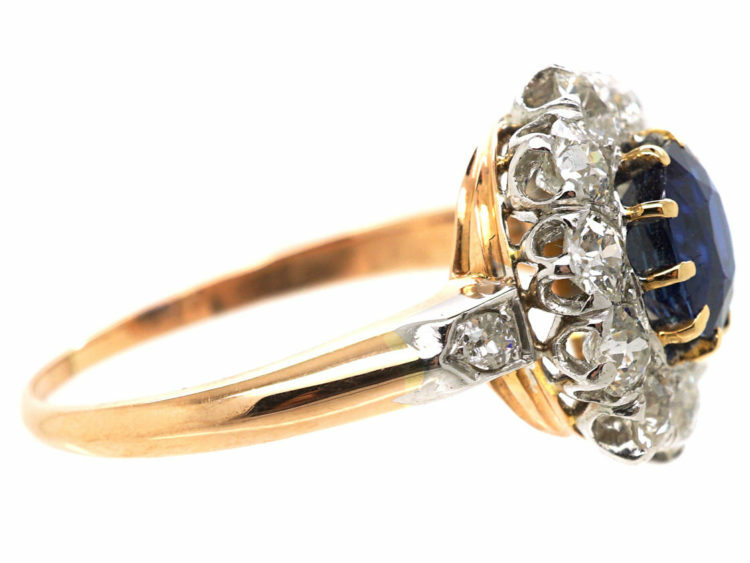 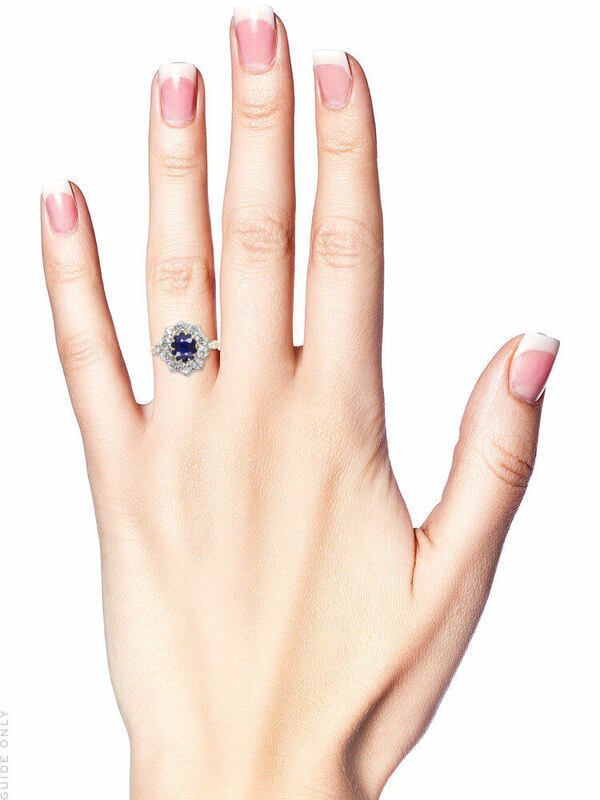 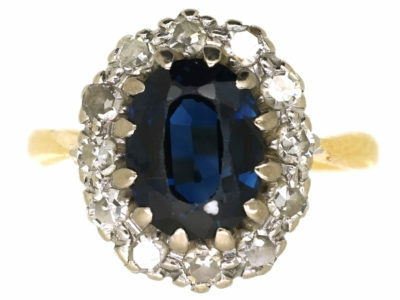 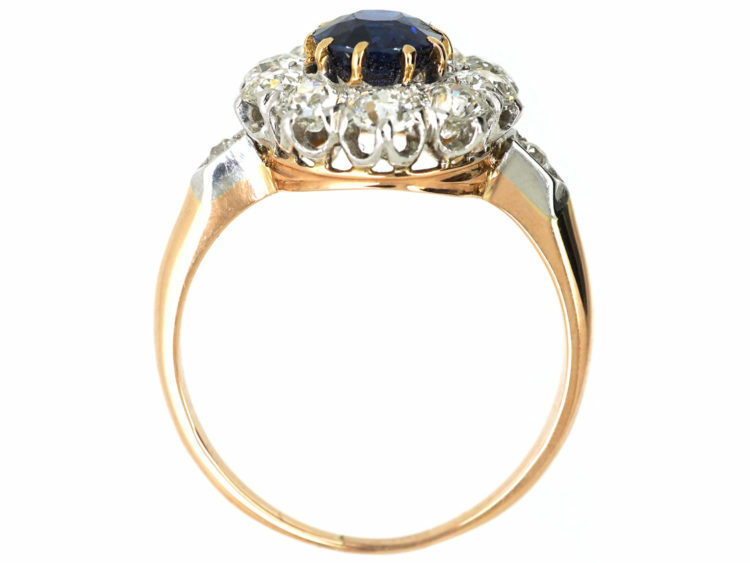 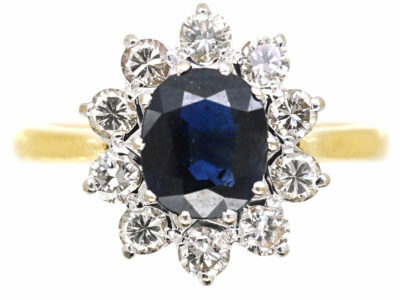 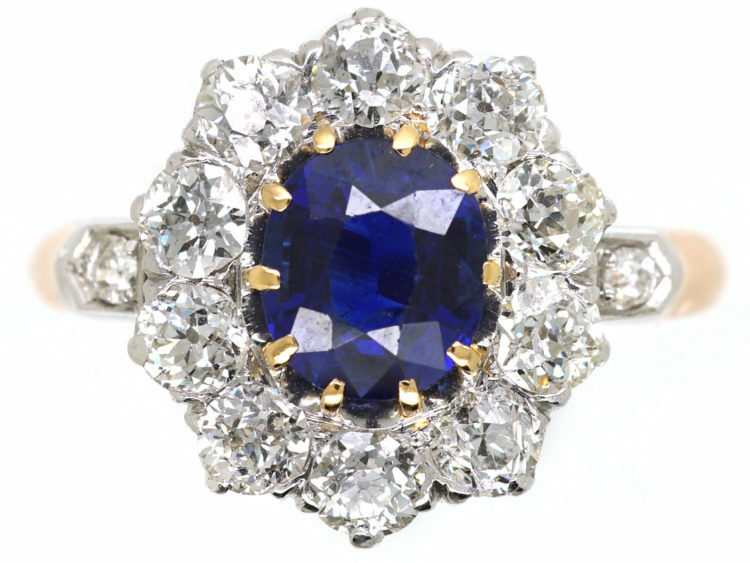 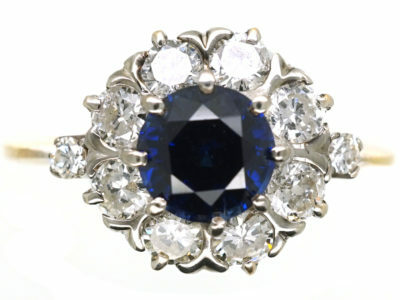 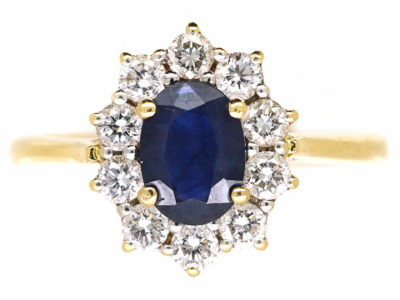 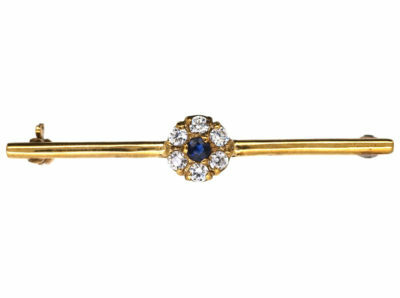 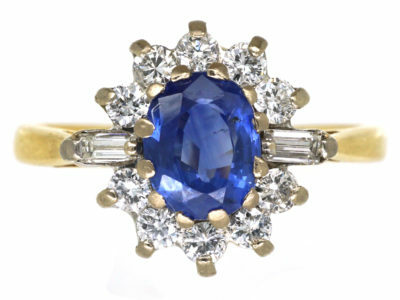 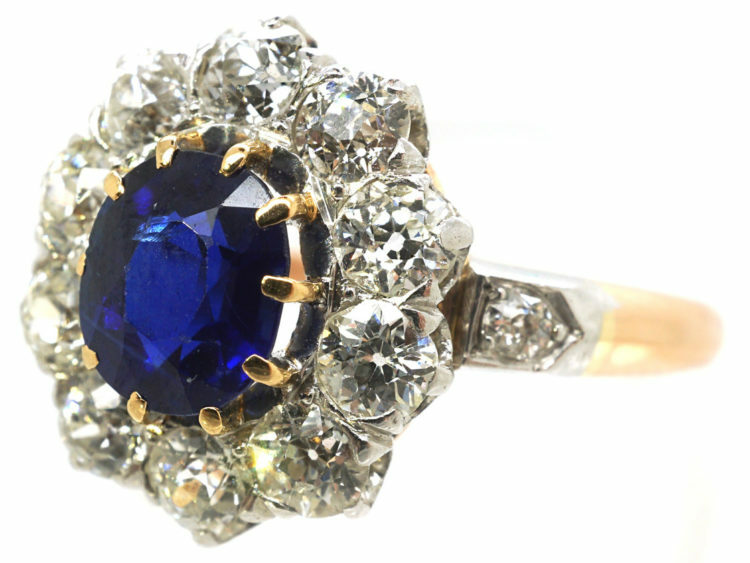 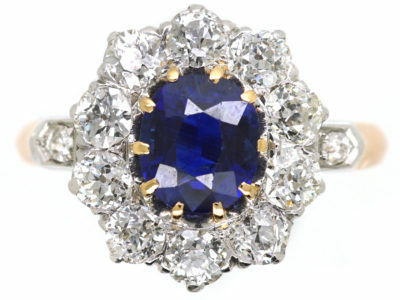 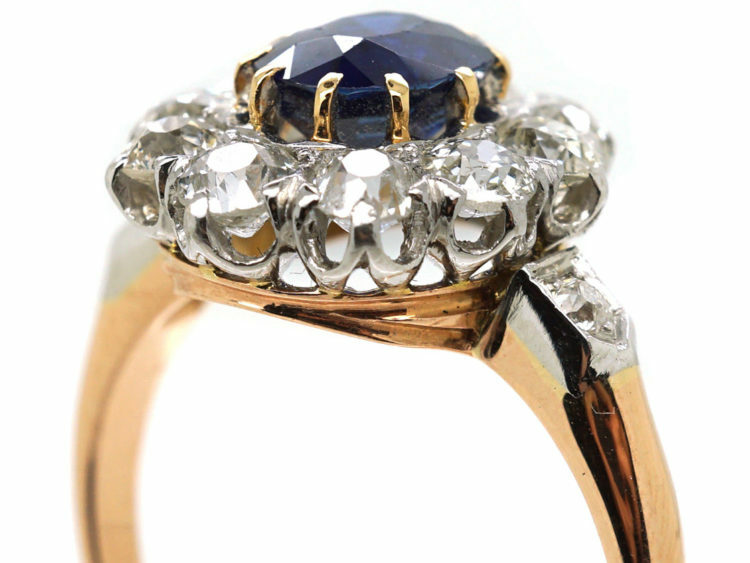 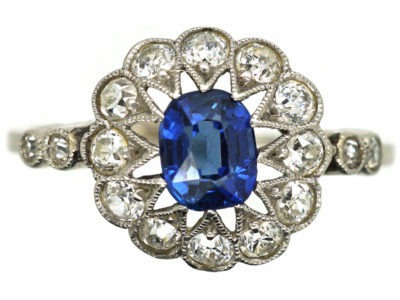 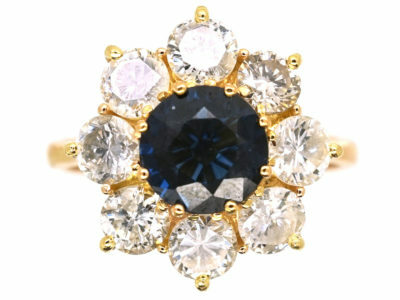 It is set with an oval natural Royal blue sapphire that is surrounded by good well matched white diamonds. 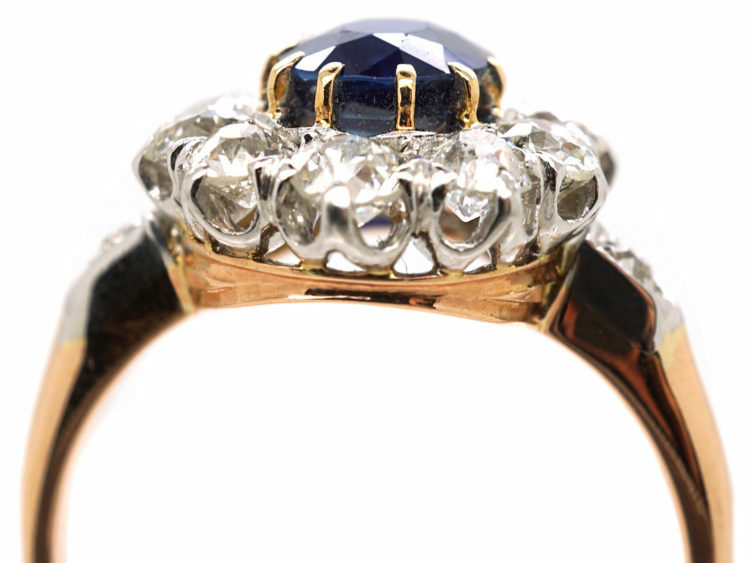 The sapphire has been certificated as a natural unheated stone. 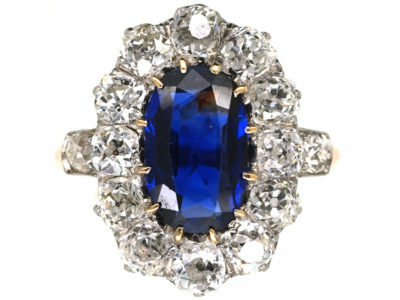 It would make a marvellous and special engagement ring.